Pelvic rehabilitation is a relatively new area of physical therapy & chiropractic that many people may not be familiar with. A trained physical therapist & chiropractor can use pelvic therapy to help you reduce or completely eliminate the pain and symptoms associated with several types of conditions. Chronic pelvic pain, urinary incontinence, and pain after abdominal surgery are just a few of the problems that can be treated with this type of therapy. Call us today to learn how we can help you relieve pain and improve physical functioning through the use of pelvic floor rehab. Pelvic rehabilitation is a type of therapy for strengthening the pelvic floor muscles, ligaments, and tendons. Muscles in the pelvic area sometimes become tight or weak, leading to a variety of painful or debilitating ailments that can affect your daily life. A physical therapist & chiropractor will provide a musculoskeletal examination to determine what specific type of treatment you’ll need. The therapist will also likely want to get as much of your medical history as possible. 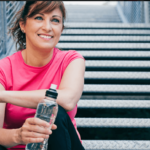 Pelvic floor rehab would include a combination of manual therapy as well as technological therapies such as biofeedback and electrical stimulation. Specific treatments would involve several types of exercises and relaxation techniques. You may also be given a home program that includes a list of therapeutic exercises you’ll need to follow. There are other types of physical therapy & chiropractic services the therapist may provide besides treating injury and pain. A trained therapist who specializes in pelvic rehabilitation may also provide proactive and preventative treatment such as preparing a woman for childbirth. This may make the delivery easier as well as possibly prevent a C-section. There are several specific techniques a therapist may use during a pelvic therapy session. The type of exercises and methods your physical therapist & chiropractor uses will depend on the treatment plan created to address your particular condition. Myofascial Exercises – Myofascial pain can result from trigger points located all over the body. Myofascial exercises will target the pelvic floor muscles and the connecting fascia. Stretches, massages, and bouts of light exercise may all be part of the treatment prescribed by your physical therapist & chiropractor. Urinary Frequency or Leakage – A physical therapy & chiropractic program will deal with the root causes of urinary problems. You’ll strengthen the muscles under your bladder instead of just treating symptoms. A trained physical therapist & chiropractor can help you find relief from a variety of ailments related to pelvic conditions. He or she will likely assist you with several forms of exercise and massage to reduce pain, lessen symptoms, and potentially heal your condition. A qualified therapist will evaluate your condition and form a treatment plan that will address your specific needs. Physical therapy & chiropractic services can help you achieve relief from problems you’ve been struggling with for many years. Your pelvic floor muscles, tendons, and ligaments are extremely important as they support the core of your body. The goal of physical therapy & chiropractic is to provide relief from your pelvic symptoms, improve flexibility, relieve pain, and increase your overall functionality. Depending on the type of injury or condition, physical therapy & chiropractic may be needed for several months. Contact Us Today at Greenwich, CT Center for more information regarding how pelvic floor rehab can work for you.